20th Century Fox Production has come up with a comedy, Date Night set to hit theaters in 2010. Date Night is about a married couple who find that their routine date night turned into more than just a dinner and a movie when they are mistaken as another couple. 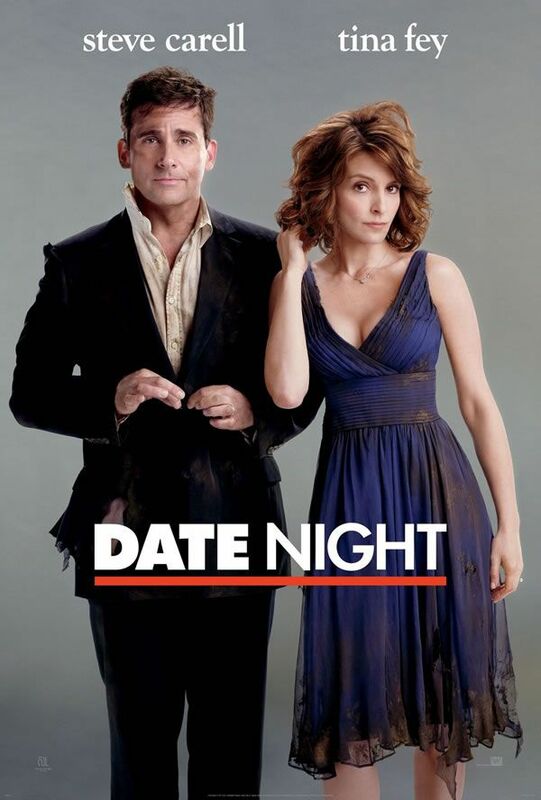 Steve Carrell (Get Smart, Evan Almighty, 40 Year Old Virgin) and Tina Fey (30 Rock Saturday Night Live, Mean Girls) who will be playing the married couple. The cast are also joined by big names such as Oscar nominee, Mark Wahlberg(Departed, Italian Job, Four Brothers) playing a man working in private security who deals with black ops and offers to help the couple, and Oscar nominee Taraji P. Henson (The Curious Case of Benjamin Button, Four Brothers) who will be playing a cop. Other who will be joining the cast is the broodingly handsome James Franco (Pineapple Express, Spiderman) who will be playing the character of a dimwitted con man. Rapper/actor Common (Wanted, Terminator Salvation) and Jimmi Simpson (Lyle The Intern) will have roles as detectives on the take. Rounding up the cast is Leighton Meester (Gossip Girl) who will be playing the couple’s babysitter and Kristin Wiig (Saturday Night Live) who will be playing Fey’s best friend. I hope the comedy is as great as the cast! But we’ll have to wait and see.. Release date for Date Night is currently set on April 9th 2010.